Your childlike fascination with the world around you has you pondering where your life is headed and what the meaning of it all is, you must remember that you have options! You are full of life and vitality right now as you take on the world like it’s a piece of cake! Put more emphasis on networking this month as more and more opportunities will fall in your lap, especially since your witty charm makes you the center of attention. Since you are feeling so fabulous and unstoppable, consider adding a little flair to your wardrobe! Something feminine yet powerful and hell, why not be a little quirky…If you’ve got it, you’ve got it! Try a cute high fashion version of the bowtie with an ultra femme skirt on your next after work drink date. Since you are on top of the world right now, you may not have time in your busy schedule for down time for skin maintenance such as with a chemical peel or laser treatment. Put that on hold till fall and look into Obagi’s C-RX system for gals on the go that can’t deal with flaking but want a refreshed and rejuvenated appearance. Also, your mate could be needy this month since you are jet setting the social scene. Take a minute to let them know that you care. Enjoy this hot month Gemini! This entry was posted in beauty, horoscope, skin care and tagged beauty, beauty horoscope, medical esthetics, skin care, wellness on June 16, 2011 by Derma Darling. You are right to be wary of a laser beam pointed at that delicate dark skin of yours. The increased risk of scarring and keloids are extremely high in light brown to dark brown skin. Melanocyte reactivity and fibroblast reactivity demand respect when undergoing rejuvenation procedures. Take heart, that fibroblast reactivity makes you a great candidate for skin tightening with infrared laser technology because you have the ability to build more collagen quicker than your paler counterparts. In fact, dark skin responds better to this treatment than any 0ther skin type! 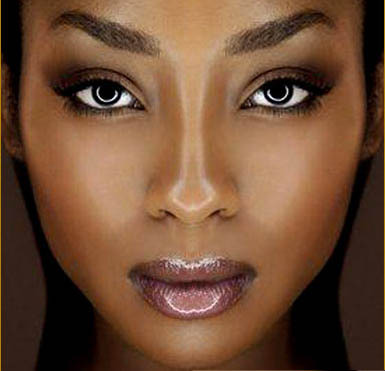 Finally, an anti-aging laser treatment specifically for dark skin types! We slowly heat the skin to cause inflammation to the dermis while leaving the epidermis unscathed with a series of treatments. 3- 6 months after your treatments, new collagen formation has caused that lovely little lift in the neck, jaw, smile lines, and around the eyes. Not at all. Clients describe a sensation similar to a hot stone massage. Absolutely not. This is truly a lunch time procedure. – providing you have a 2 hour lunch to account for the 45 minute procedure and the time it takes to reapply makeup and eat a turkey sandwich on whole wheat while braving Atlanta’s lunch hour traffic crunch. ~ Laser treatments on skin of color whether you are Hispanic, Asian, Indian or African American carry serious risks of pigmentation changes and keloid scar formations. Please ensure that your medical esthetics professional has loads of experience and has been specifically trained in safely treating darker skin types IV-VI. This entry was posted in anti-aging, beauty, Laser, skin care and tagged American Academy of Dermatology, Anti-aging, Atlanta, beauty, Facial rejuvenation, Laser, medical esthetics, service reviews, skin care on May 16, 2011 by Derma Darling. Take heart precious bull, while this month will put you face to face with your need to make some difficult changes in your life, you are strong willed and it will be the start of something beautiful that will last for many years. Use this month’s restlessness to your advantage- even though you may be afraid take the leap! It may be a stormy month but your sexiness is at an all time high. Now is the time to make a drastic change in your appearance so if you’ve been wondering whether to go platinum blonde or raven black with your hair, do it! Your air of confidence will only intensify if you take charge of those little wrinkles that are starting to appear around your eyes from all of the weariness this past year. 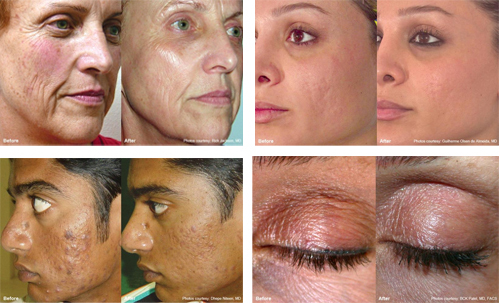 Your beauty homework- Resurface your face with a Pixel Perfect laser treatment. This entry was posted in anti-aging, beauty, horoscope, Laser, review, skin care and tagged Anti-aging, Atlanta, beauty, beauty horoscope, Facial rejuvenation, Horoscope, Laser, medical esthetics, Pixel Perfect, Resurfacing, skin care, Taurus on April 25, 2011 by Derma Darling. Put Some Icing On Your Cake! Many of you have reached long sought after weight loss goals quickly and are ready for the next level of transformation. The next logical step is facial rejuvenation. Innovative and advanced laser treatments can be the icing on your cake if you are committed to making a big change in your appearance. You can completely transform your skin into smoother, clearer, tighter skin with esthetic laser services including treatments for fine lines, large pores, sun spots, loose skin and unwanted hair. Fractionated laser resurfacing, skin tightening, and photo-rejuvenation are gold standards for stimulating collagen formation and cleaning up sun damage. 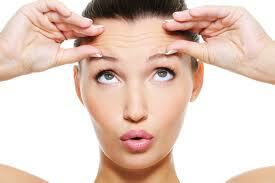 Lasers should be in the arsenal of everyone who is interested in keeping a youthful face. This entry was posted in anti-aging, beauty, Laser and tagged Anti-aging, Atlanta, beauty, Facial rejuvenation, Health, Laser, medical esthetics, Medicine, Photorejuvenation, Skin, skin care, Ultraviolet, Weight loss, wellness on April 23, 2011 by Derma Darling. A numbing cream will be applied to your face for 15 minutes. Your face will be cleansed and degreased. Laser treatment begins. Sensation is like a mild snap of a rubberband against your skin. After the treatment you will feel as though you have the worst sunburn of your life. This is good because the heat is what causes the collagen to start strengthening. If your face is on fire- Congratulations you will get a great result! This entry was posted in anti-aging, Laser, skin care and tagged beauty, Laser, medical esthetics, Resurfacing on March 31, 2011 by Derma Darling. How sweet it is to slow down and wallow in all things girly. I booked an appointment for my classic 1920’s style manicure at the adorable little boutique nail salon, Sugarcoat. Free valet, a bottle of vino, and a meticulous manicure do great things for the soul, and I would venture to say there is no better place in Atlanta to make that happen. 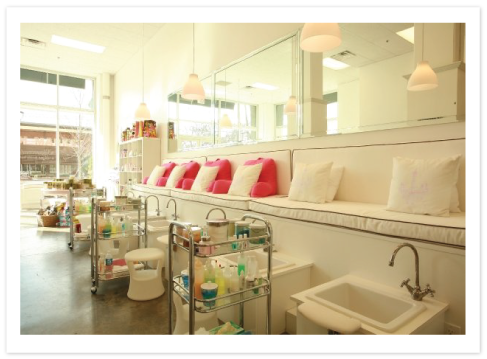 This sassy little gem in the heart of a city that boasts a nail salon on every corner is a breath of fresh air with it’s pink decor, chandeliers, and cult products. Not only do the gorgeous girls with perfect eyebrows give the most sanitary manicure I have ever had, they send you home with a little pink pouch with your own file and buffer so that they are never shared! It is day 4 of fanatical handwashing since my mani and there is not a chip in sight! This entry was posted in beauty, review and tagged beauty, product reviews, service reviews on March 25, 2011 by Derma Darling. What two things top the list of concerns for my clients? Crows feet and that little devil of a line between the eybrows. 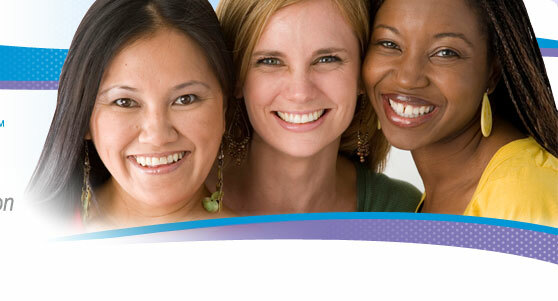 You can prevent them and correct them no matter what age or skin type. 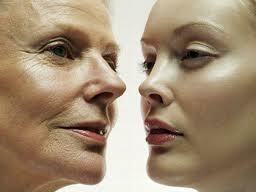 In your ﻿20s– You may notice the beginnings of sun damage and slight expression lines around the eys. Botox them into oblivion now and your 40 year old self will thank you. Botox for prevention of lines may sound ridiculous to some people, but trust me, soften that expression a little now and you will save thousands on correction in the future. Now is also the time to add glycolic acid and vitamin C to your regimen. In your 30s & 40s– You may have lines with expression and maybe slight expression lines between the brow or around the eyes while you are relaxed. Again Botox makes the world go ’round. Now is the time to be adding tretinoin to your regimen for prevention of new lines and correction of the ones that are creeping up. A medium depth skin peel such as the VI Peel would turn back the clock for you. In your 50s-60s – You may have lines at rest. For god sakes don’t fret, that only creates more lines! By now you are likely already addicted to Botox, so now is a matter of resurfacing the skin to soften and remove existing lines. You need collagen stimulation STAT. Medium depth peels can provide some of this collagen stimulation, but it’s time to add thermal “damage” to call that collagen to action with fractionated laser resurfacing. This entry was posted in anti-aging, beauty, skin care and tagged beauty, medical esthetics, skin care on March 10, 2011 by Derma Darling. Please welcome your newest secret weapon against skin sabotaging pigment, expression lines, and large pores. The VI Peel is the new sweetheart of anti-aging skin care enthusiasts everywhere. This is the first medium depth skin peel that is perfect for all skin types. A combination of phenol, salicylic acid, Vitamin C, and Vitamin A work synergistically to give you beautiful, radiant skin in only 7 days. This is the only product on the market that can promise dramatic results in a single week. This hot little peel is virtually painless and will only take about 20 minutes in my chair. 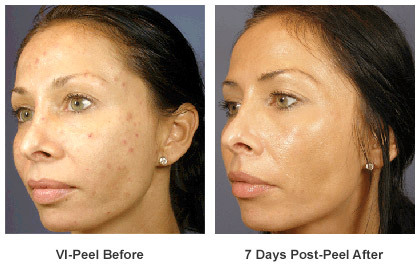 Within three days you’ll peel like a snake, but you should be over the peeling by day 5. You will want to schedule your VI peel keeping in mind the worst peeling will be on days 3-4. This entry was posted in anti-aging, skin care and tagged Anti-aging, beauty, medical esthetics, product reviews on March 2, 2011 by Derma Darling. Vitamin C makes the world go around. It’s true. No other serum currently on the market can turn drab skin into a bright luminous complexion. Not only does this stuff brighten, it adds another layer of protection against the long arm of the sun. For prevention, this little gem should be added to your AM routine in your late teens or early 20s if you are not fighting acne. Don’t fret if you are late getting the notice, because it is a beauty MUST for building collagen and the correction of water loss in the skin, dullness, and age spots all the while preventing future damage. Buyer beware! According to the American Academy of Dermatology, Vitamin C is highly unstable and will break down quickly with exposure to light or air. It’s absorption into your skin is also dependent on the ph of the formula and % of Vitamin C. When shopping for this precious formula, look for packaging that will protect it and go with a brand that you trust to test its products well. Both of these brands contain pure Ascorbic Acid (Vitamin C) and their products are backed with lots of science and testing. I use Obagi’s 20% C serum and honestly couldn’t live with out it. This entry was posted in anti-aging, skin care and tagged beauty, medical esthetics, obagi, skin care, wellness on January 11, 2011 by Derma Darling.